St Kilda will line up twice against only one 2018 top-eight side in Season 2019. The Saints will need to capitalise on an improved football fixture to deliver an emphatic response in 2019. The release of the 2019 Toyota AFL Premiership Season fixture has handed the Saints fewer six-day breaks than 2018, but perhaps the most significant outcome is in who they play twice. Alan Richardson’s side will play two games against each of the Gold Coast, Fremantle, Melbourne, Adelaide and Carlton next season as per the AFL’s weighted rule. According to eventual ladder position in 2018, that equates to a dual match-up against only one top-eight side – Melbourne. The Saints’ improved outlook for 2019 is in stark contrast to the 2018 fixture, when their luck in the draw seemingly ran out. The Saints were the only team to play 12 games against top-eight sides, including six against top-four sides, while they played twice against only one non-top-eight side. At the other end of the spectrum, they played just three games against bottom-four sides, resulting in the highest average opposition ladder position overall in the competition (8.2). 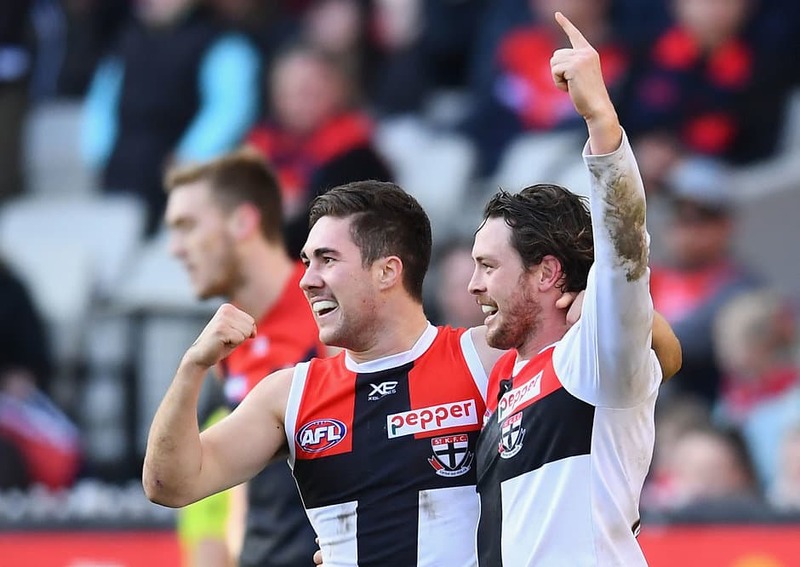 To capitalise on the statistically improved fixture next season the Saints will be looking for crucial wins against Adelaide - tipped to be a big improver in 2019 and the Demons who many believe are a genuine premiership contender. They will also be desperate to secure the four points against Carlton twice and claim interstate scalps against the Dockers and Suns.